Join SEC NYC alumni for some Madness at 121 Fulton! 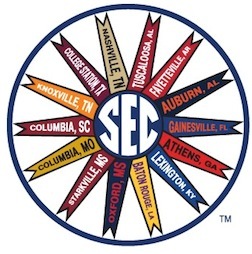 While most of the SEC doesn't have much in the way of Madness this March, we always have reasons to drink so join us for the next Southeastern Conference NYC Happy Hour at 121 Fulton. In addition to alumni and friends from all 14 SEC schools, the 121 Fulton will have drink specials, music, and any of the SEC basketball games going on that night on the dozens of HD televisions and their state of the art sound system. So join all of the other alumni in the city to toast what should be the start of spring in the city. Visit the Arkansas New York City Chapter website for future SEC NYC events and photos. Make sure to join the SEC NYC Facebook group for information on sports, marathons, volunteer work, AIDS walk, snow skiing, rafting, canoeing, happy hours and other special events.